I love the story of the Fall of Adam and Eve. I have learned countless lessons from studying what took place in the Garden of Eden. But perhaps the lesson that has been richest and most meaningful to me at this season of my life is a lesson regarding shame. The first reference to shame is found in Genesis 2:25: “And they were not ashamed”. The first account of experiencing shame is found in the following chapter. One of the first effects of being exposed to the effects of a broken law was to feel fearful and ashamed. The story of the Fall contains considerable symbolism that can provide additional meaning to the events in the Garden, and to our experience in mortality. Consider the significance of the symbols of nakedness and clothing. When I think of how Adam and Eve were not ashamed of their nakedness before partaking of the fruit, but were ashamed afterwards, I wonder if perhaps it is because of what their exposure represented. 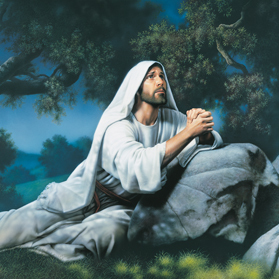 The prophet Jacob mentioned nakedness figuratively, or perhaps spiritually, when he spoke of a day of judgment saying “we shall have a perfect knowledge of all our guilt, and our uncleanness, and our nakedness…”(2 Nephi 9:14). Here he pairs nakedness with feelings of guilt and uncleanness. One interpretation of the symbolism of nakedness is that it represents being exposed to the effects disobedience and of a fallen world. It can represent being vulnerable to painful consequences. Partaking of the forbidden fruit was a transgression and a sin. It was an action in opposition to God’s commandment. Accordingly, after partaking of the fruit, Adam and Eve were now subject to the consequences of sin and of a broken law. Before the Fall, Adam and Eve were exposed to God’s all-seeing eye, but they were not seen to be guilty of any sin. Thus they felt no shame. After the Fall, they were exposed to the effects of their transgression, and to the effects of a fallen world. They would be seen in their sin. And they would have to stand accountable for the consequences of those sins. Thus their desire to hide and cover themselves. Before the Fall, though naked, Adam and Eve were not exposed to the effects of the broken law. After the Fall, they had a need to be covered from the consequences of the Fall. 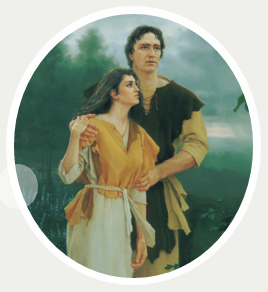 References to clothing are common in the scriptures. For example, the prophet Isaiah wrote “God…hath clothed me with the garments of salvation, he hath covered me with the robe of righteousness”. Here clothing is paired with salvation and righteousness. It is also referred to as a covering. As it relates to the role of clothing in the account of the Fall, there is reason to believe that the article of clothing, a coat of skins, and its mention in the Genesis account are intentional and instructive. He suggests that the clothing is intended to be instructive regarding the Atonement, sacrifice, repentance, and forgiveness. How so? We’ve touched briefly on how clothing can be a symbol of salvation and righteousness. It is also meaningful to ponder on the relationship between covering as it relates to being exposed. 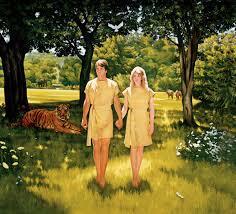 But it might be most instructive to consider what Adam and Eve were clothed with in the garden and its origins. We read that they were clothed in “coats of skins”. Where did those coats come from? It would be reasonable to assume that they weren’t purchased at a store, and that they didn’t appear out of no where. Most likely, to obtain the skins from which the coats were made, an animal had to die. And since we understand that the Garden of Eden was a place where the lamb and lion could lie together and where animals were not predatory, it seems safe to assume that an innocent animal’s life was offered up as a sacrifice in order to provide a covering for Adam and Eve. The Old Testament says much about the sacrifice of animals. And we know that these sacrifices were in similitude of the sacrifice of Jesus Christ. Though sinless, He took upon Him the sins of the world and offered himself a sacrifice for sin. It is very probable that an innocent animal was sacrificed, as a type of Christ, to cover Adam and Eve from their exposure to the effects of their sins and to heal their shame. Truly, it is the Atonement of Christ that covers us from the eternal consequences of sin when we repent. This entry was tagged GS&tA, Master Healer, shame. Bookmark the permalink. I really like your point about sacrificing an innocent animal to make Adam’s and Eve’s clothing. I hadn’t thought about that before.